Belly Bands are the best invention for marking males! They work great for potty training boys and also for boys that have separation anxiety and mark when left alone. A belly band is a band that goes around the waist of the boy and prevents him from peeing on your furniture. Put a maxi pad in the band to absorb pee. Most boys will quickly learn not to pee when wearing a band because they don't like the feeling of peeing in the band. It works as a preventative and helps train them to stop the behavior - at least while the band is on. A belly band can also help protect your home with older boys that are becoming incontinent. Unfortunately belly bands do not work for girls that mark or have accidents. 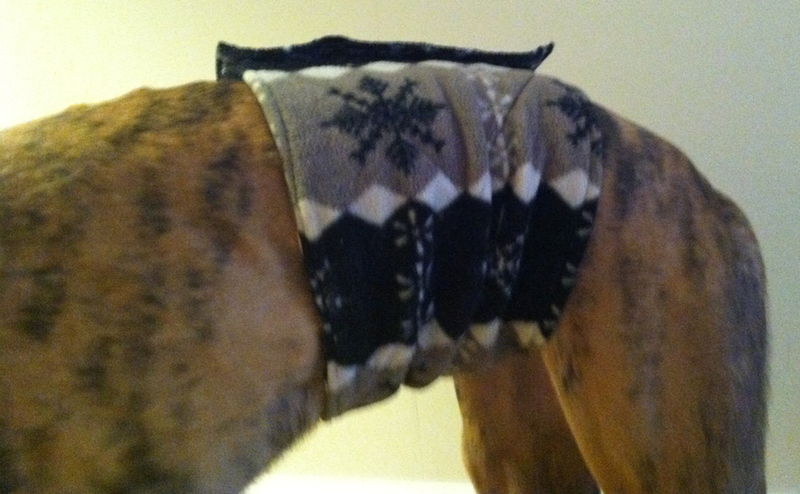 You can Google "Greyhound Belly Band" and find a bunch for sale from vendors that make them. Most sell narrow bands only 4 to 6 inches wide. We like wider thicker bands that don't slide around and leave important parts uncovered. You can also find the narrow belly bands for sale at most large pet stores. 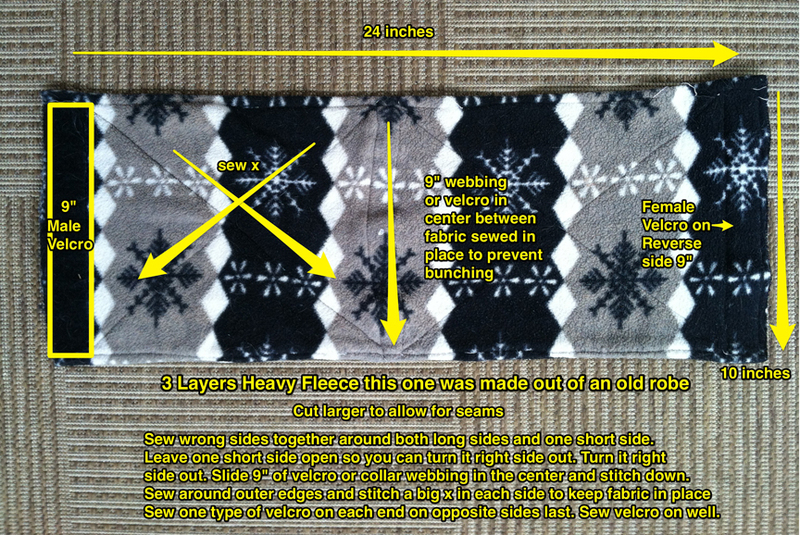 Here is a simple way to make your own belly band out of an old robe or pieces of fleece from a fabric store. This belly band is 12 years old and was made from an old robe. 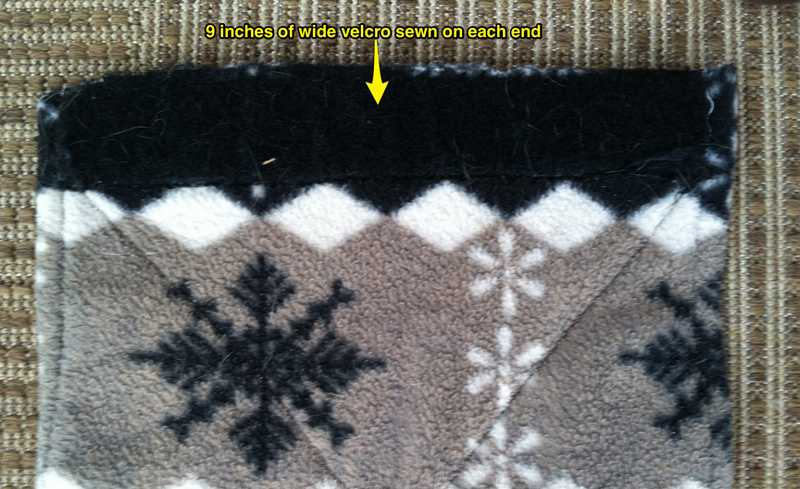 You can make a simple bellyband out of one peice of fleece with velcro on each side but ones made out of one layer of fleece bunch up after they are worn for a little while and don't cover the important parts. 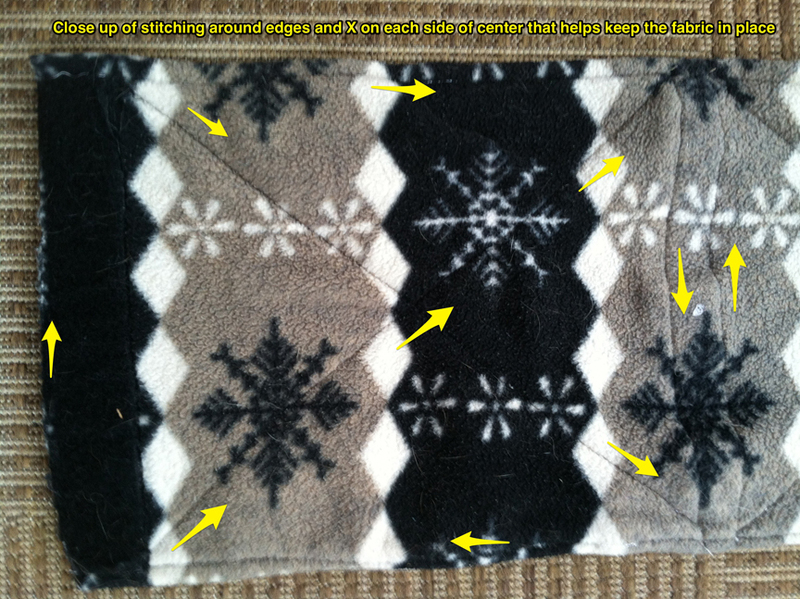 We like a triple layer of thick fleece that won't bunch up even though it takes a little extra work. 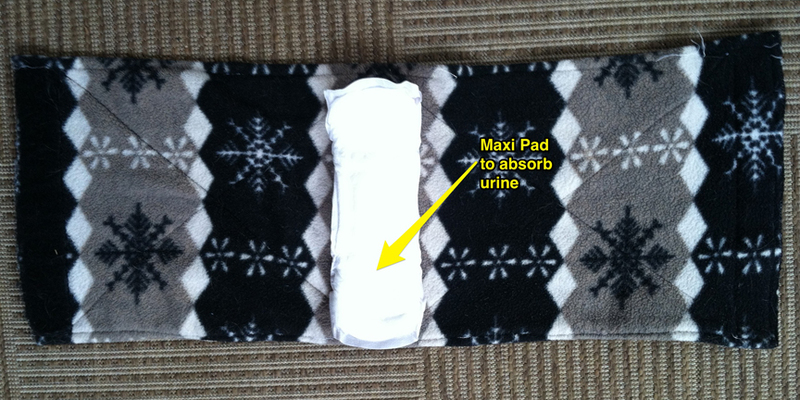 Completed Belly Band above with maxi pad to prevent leakage above and on dog below. This belly band fits Miles Per Hour 77lb racing weight male pictured at top and Happy Stutz 98lb racing weight male pictured below. The fleece is stretchy so also fits smaller 60lb male fosters. 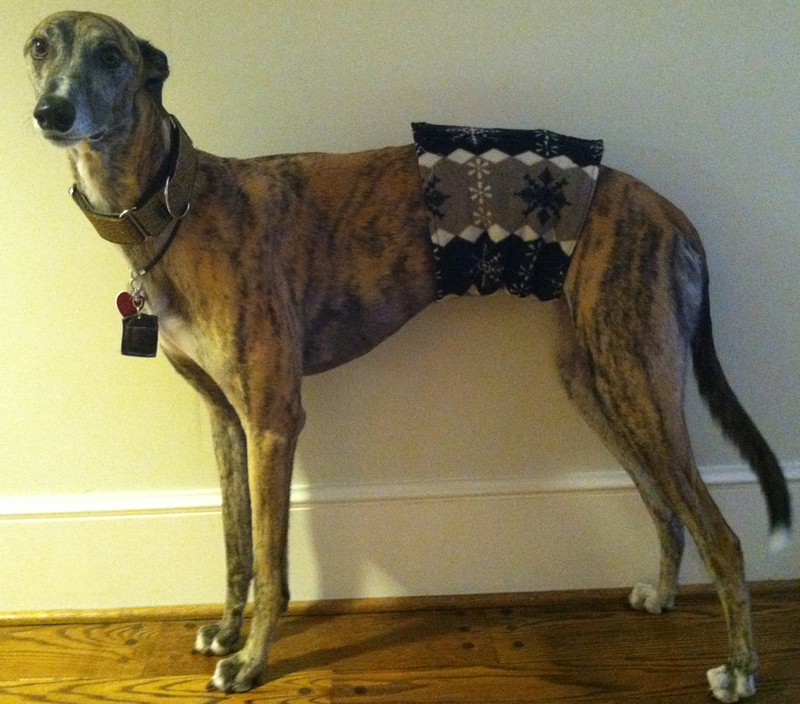 Other large breeds and obese greyhounds with no tuck or waist may need a slightly larger band.